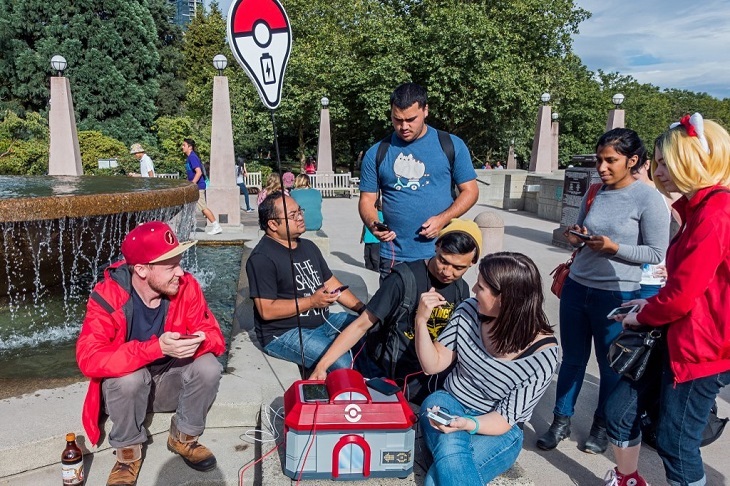 Pokémon Go has taken the world of gaming by surprise since its release on the handheld device. People are now walking, driving, travelling from miles and miles to catch them all. While the game promotes a healthy lifestyle by walking that extra mile, it also caused an individual problem for the handheld platform. The technology of the smartphones that is present right now was not made Pokémon-friendly because of a limitation, the battery life. 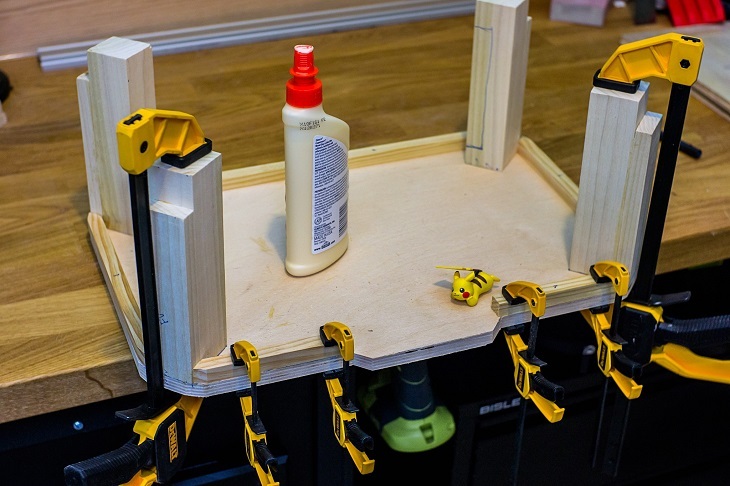 Since this was causing a problem for the Pokémon masters, there were a lot of 3D printed designs that popped out on the internet about providing a solution to the short battery life. 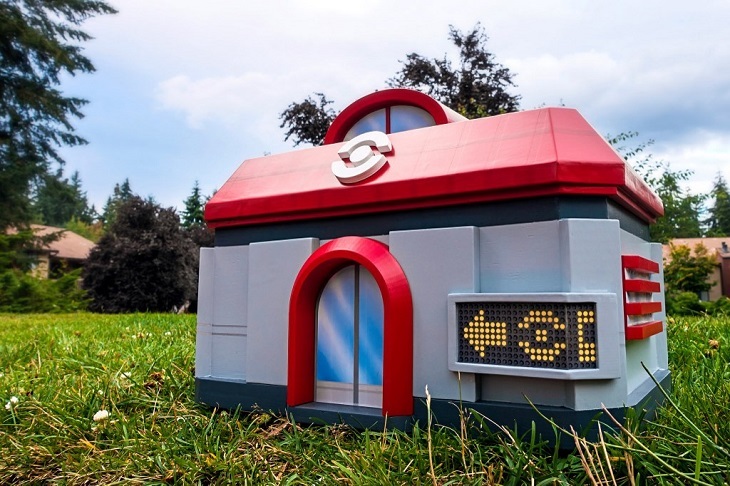 Minecraft artist, Spencer Kern, has just managed to create the most eco-friendly version of a power bank: a solar-powered compact 3D printed Pokémon Center that can accommodate up to 12 phones at the same time. A smartphone’s battery life has its limitation that is why having something portable power bank can save so much time and players can catch all the Zubats and Eevees. It is a solution to the problem that affects many players in the game. One of the reasons why it is draining the battery life so fast is because of the mobile data use and the continuous GPS. This deadly combination can shorten a fully charge mobile phone in no time which causes problems of missed chances in catching the rarest of Pokémons. Being able to carry a device that can help charge up a phone can surely benefit all the players in Pokémon Go. Amazingly, the 3D printing community was also aware of the problem that affects the game which is why unique 3D designs of these power banks spawned after the game was released. 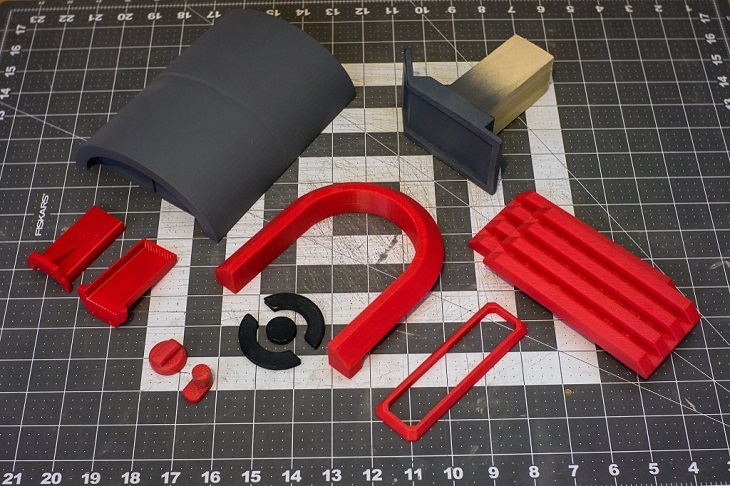 For instance, a 3D printed PokéDex phone casing was created which allows the user to carry an extra battery and also a PokéBall USB charger that can allow players to attach it to a belt. 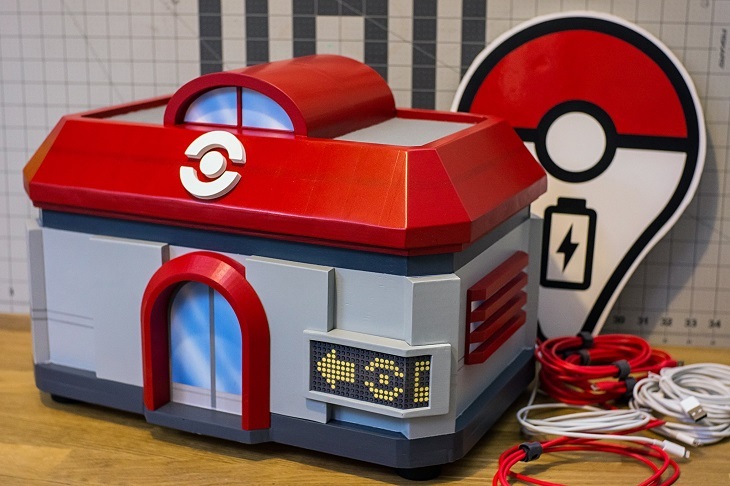 All of these designs along with Spencer Kern’s solar-powered Pokémon Center charging station made playing Pokémon Go even easier. Spencer works for the Minecraft team located in Washington which is also a part of the Swedish Game Studio Mojang. The studio is also involved in playing the game and how deciding which team is the best is also a trend in the workplace. Stern even mentioned that the game magically gave a nostalgic feel for all Pokémon fans and the chance to play it in real life creates chances for people to come together and enjoy catching the digital Pokémons. Kern added that the design was to replicate the Pokémon Center where the Pokémons are healed. This time, it is the owner’s mobile phone are the patients of this eco-friendly device. 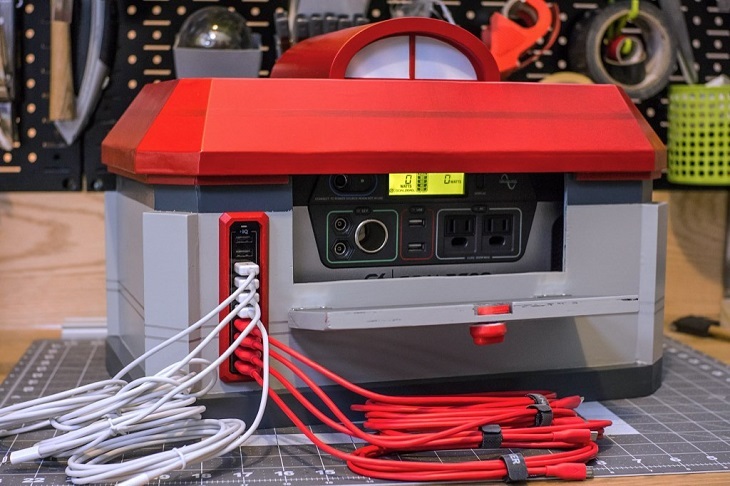 Spencer used a Yeti 400 solar generator for the charger and a shell that can have a massive USB hub built into the device. He also added that the design was easy to print from the 3D printer and the paint job and custom decals were applied to the casing.